The Ink Trap: Moxie Fab Thanks Blog Hop! We Love You, Cath! Image is by Mo Manning for Penny Black and is called Her Heart. Hola! Welcome to my second post of the day and to the largest blog hop in the history of blog hops! Why so many? Because we're showing some love to a wonderful lady who has inspired us in so many ways...Cath Edvalson of Moxie Fab World. Though I never participated in the Moxie Fab World challenges, I visited frequently to see what inspiring treasures Cath had to share and to see the wondrous creations of the artists she showcased. I was never disappointed and always found loads of loveliness to quench my creative thirst. Cath's impeccable artists' eye always managed to hone in on just what I needed to kickstart a stalled project. Sadly, Cath is stepping down from Moxie Fab and there are crafty hearts breaking all over the world. Today, we have united to show her just what she has meant to us over the years and to give her a send off befitting a Queen. Thank you Cath, we love you! With 285 hoppers listed, you're journey may take you a few days, but there are some of the finest paper artists in the world listed here and you will undoubtedly see some amazing creations as you hop around. If you're following the hop order, you should have arrived from Unity Stamp Company. You're next stop is Jennie Harper's blog where you will definitely find something fabulous awaiting you. If you get lost along the way, you can always pop into Moxie Fab World to get back on track. I have included the full hop list, as well. It's a doozy...lol! OH Cheryl I LOVE LOVE LOVE this!!!! 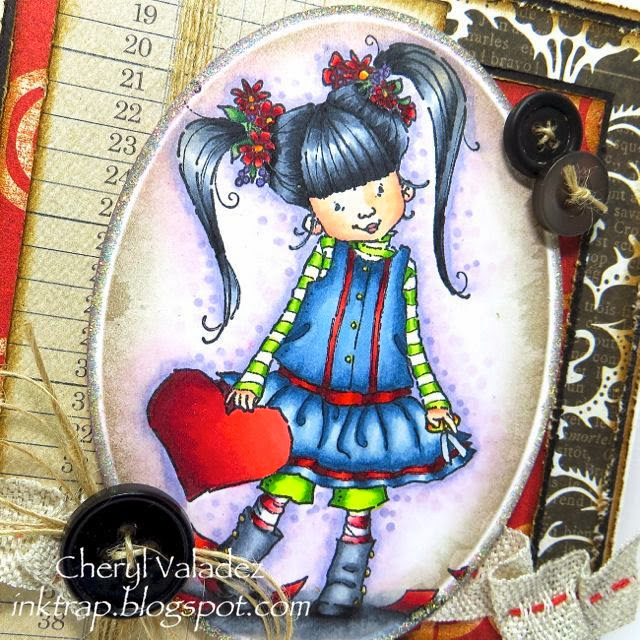 Gorgeous and adorable card, Cheryl! I love all the layers in the background and your colouring is amazing!! how wonderful to use this cutey Mo image for the hop! perfect! :) such a precious card! Oh Cheryl!! SO happy to see your beautiful work again! 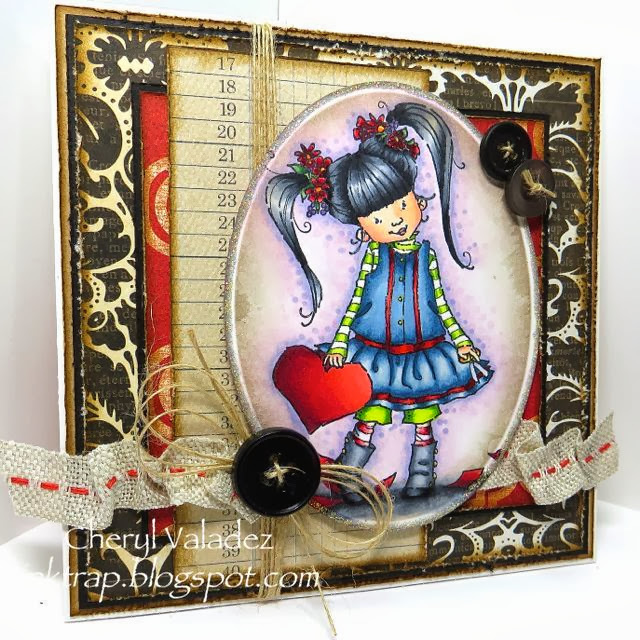 You are a true stamper and this card is simply amazing! So glad that you are part of this epic blog hop! GREAT job on linking up all the hops, too! "crafty hearts breaking" - your awesome coloring on that heart just steals the show! This is a wonderful powerfull thing in honour of an amazing woman and artist, and you honor her perfectly with this PERFECT card, love the twine and canvas ,brilliant and gorgeous, thanks for sharing.. This is oh, so cute! It's taking me a LONG time to visit everyone's blogs and I'm sorry for that! But I want to visit them all and give everyone some love. :) This is amazing coloring, Cheryl! I love it!